Christmas is edging ever closer, so when it comes to finding gifts for the little ones within your family circle, now is the time to start taking advantage of the best offers available. Toys, of course, provide a great source of fun, but they can also help youngsters to develop their own personalities and talents. Take a look below to see some wonderful and affordable creative kits, gadgets and games to keep kids of all ages entertained this year. They're all included in B&M's 2 for £20 Toys offer, but you'd better be quick - they're only discounted for a limited time! Encourage the kiddiwinks in your family to draw, colour in and solve puzzles with the amazing Paw Patrol Activity Craft Pack, complete with a free bag to carry their artist’s tools around in. This fab pack ensures hours of fun with all their favourite characters from the show, and encourages artistry, dexterity and attention to detail in kids aged three years and above. A super cool kit that your little ones and their friends can all enjoy together, the awesome Trolls Projection Station comes with a working projector, three mini markers, a sketch pad and three projection discs; each of which features seven images to draw with the assistance of the projector. While unsuitable for kids under three due to its small parts, this toy makes a show-stopping present that will be loved for years. Smart sand sticks together and flows slowly to prevent messy accidents and help kids create fantastic structures and art. 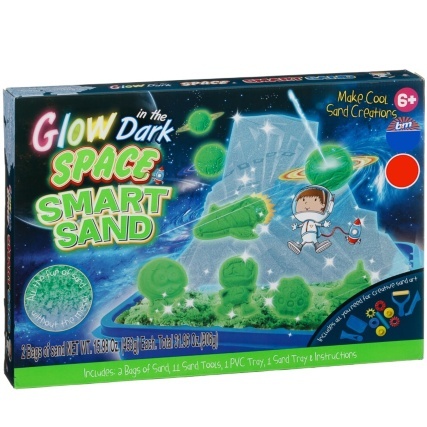 The sand in the Amazing Glow in the Dark Space Smart Sand Play Set looks like mysterious intergalactic goop and can be shaped and sculpted again and again, using many kinds of finger-friendly rollers, slicers and scrapers; all of which are included in the pack along with one handy sand tray and one PVC tray to keep everything together. This toy is suitable for adventurous youngsters over six years of age, and is also available in Glitter Fairy and Farm sets. Also for creative kids aged six and up is the Hobby World Pottery Wheel – a wonderful way to get small hands dirty with really exciting results! Watch them make their own bowls, mugs, vases and all kinds of other products from scratch in self-setting clay (no kiln required! ), then paint and decorate them with lots of beautiful colours and gems. You’ll be so proud as you see them shaping things they can keep forever, while developing a fun new skill that will last a lifetime. Set imaginations alight with My Tea Time Trolley from Play & Pretend. All little ones over the age of two can bond over (pretend) tea, toast, muffins and more with this bright and fun set! All pieces are large enough to ensure there's no danger of choking. A perfect addition for play dates and group get togethers, toy tea sets have been at the centre of almost every early years’ friendship for generations. Keep the tradition going and encourage your children to socialise and share while playing! Many children dream of finding dinosaur bones, and now they can – with the help of the 5 in 1 Fossil Finding Excavation Discovery Set! In fact, they can mine for gold, discover shark teeth from the bottom of the ocean, seek out creepy crawlies and come away with their very own dinosaur egg! Not only does this amazing kit open up brand new worlds of play, it also contains a plethora of fun facts to keep youngsters learning throughout, encouraging interest in science and archaeology for any child over five years old. 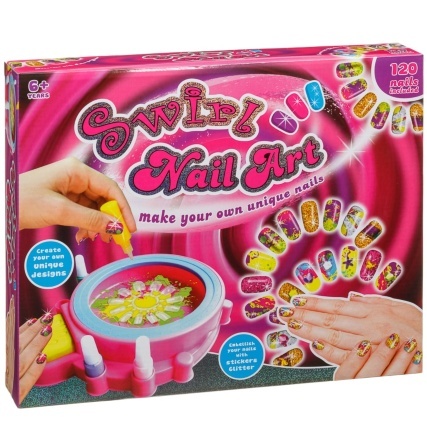 B&M Top Tip: don't forget our Top 6 Creative Toys are just a small selection from our 2 for £20 Toys offer. Find your nearest B&M store and pick up a bargain today! Why not take a look at our website today for even more gift ideas in the run up to Christmas! Also, don't forget to check us out over on our Twitter, Instagram and Facebook pages!